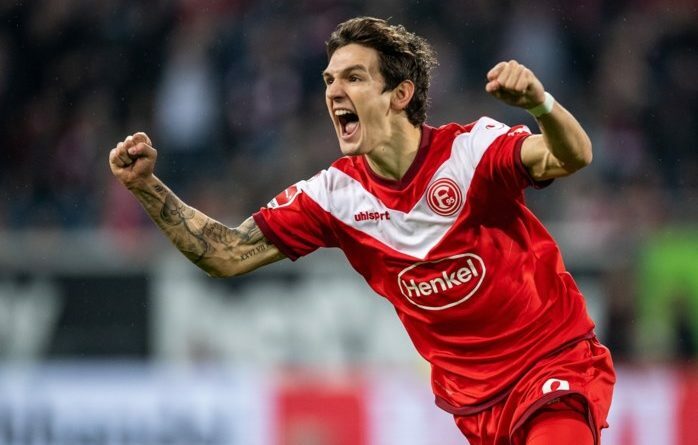 Arsenal are interested in signing Fortuna Düsseldorf forward Benito Raman and prepare to make an offer in July when the transfer window opens again. London club need a new prolific winger to improve the attack, and the Belgian player is the perfect choice in this situation. He has an impressive campaign and paid attention. Emery ready to spend big money on the footballer during the summer transfer window. Benito joined the Flingeraner from Standart Liege last summer with a £2m deal. He is one of the best forwards in Bundesliga and a key figure for the club. In this campaign, Raman already played 27 matches, scored ten goals and made four assists in all competition. It is a perfect result, and he can improve his consequences with high-class teammates. Belgian forward has contracted with the German club until 2022, and his release clause is around £10m. His price could increase during this season and become much more. English club will do everything to add him this summer as Henrikh Mkhitaryan, and Alex Iwobi are in a terrible form, Danny Welbeck has a severe injury, and they need back-up. Arsenal have a good result in the Premier League as they are in a sixth place in the table and have the opportunity to get the Champions League ticket. London club also won the Europa League first quarter-final match against Napoli 2-0 and have a big chance to reach the semi-final. Gunners signed several footballers last summer like Lucas Torreira from Sampdoria, Stephan Lichtsteiner from Juventus, Matteo Guendouzi from Lorient, Bernd Leno from Bayer Leverkusen, Sokratis from Borussia Dortmund and they also added Barcelona midfielder Denis Suarez this January with a loan deal.